Ever since I travelled the 580 miles to Aberdeenshire, on a cold and slate grey morning, last March, to meet with the charismatic Peterhead skipper and Scottish fishery ambassador Jimmy Buchan, I’ve harboured thoughts of returning. The reason for this is twofold: Firstly to visit new friends and catch up on the Northern North Sea fishing scene and secondly and selfishly more important, to indulge myself yet again in tasting some the finest and undoubtedly most sustainable seafood our abundant and responsibly-fished UK waters have to offer. 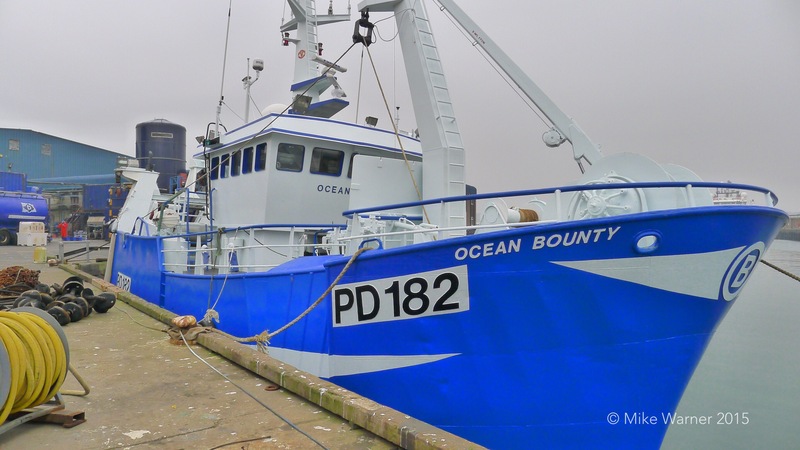 It’s always worth reminding ourselves that commercial fishing on a scale that provides continuity of supply of both white and oily fish and shellfish to the catering trade, is no easy game. As programmes such as the recently screened “The Catch” and the massively popular original “Trawlermen” series attest, it is an industry not only fraught with fiscally binding and frustratingly restrictive legislation, but real and tangible life-threatening danger, where behind each trip lurks the spectre of loss and devastation; both physically and financially. As it turned out, I didn’t have to make the long journey North in order to be reacquainted with the Scottish seafood scene and leapt at the chance to meet up with those at the Northern North Sea coal face, as a group of them visited London recently, in an ambassadorial role, promoting their responsibly and sustainably caught, white fish sector. In a meeting then, led by Seafood Scotland (the trade body charged with promoting the finest seafood North of the border), last month at Billingsgate market, I heard first hand from Scottish skippers and merchants, just what sort of pressure they’re under, to deliver quality and at the same time affordability, even though the progress they have many in recent years to improve and nurture our wild fish stocks have paid such dividends, that many species such as cod, haddock and hake now swim in such vastly increased biomass, that they have defied the industry critics. On a mission to develop new and expand existing supply links with London’s fish and chip trade, it was timely that the visit happened to coincide with the Marine Conservation Society rewarding the industry with the removal of North Sea cod from its threatened or “Red list” that advises consumers to avoid eating certain species deemed to be commercially sensitive. Indeed with an increased biomass of 28% last year, thanks to reduced fishing effort since the implementation of the Cod Recovery Plan, the viable stocks of that particular species are such, that the UK demand for cod (some 300,000 tonnes in 2014) could be met more from Scottish effort, but only, it should be stressed, with an increase in quota above the 8000 tonnes currently afforded to our Northern fleet. 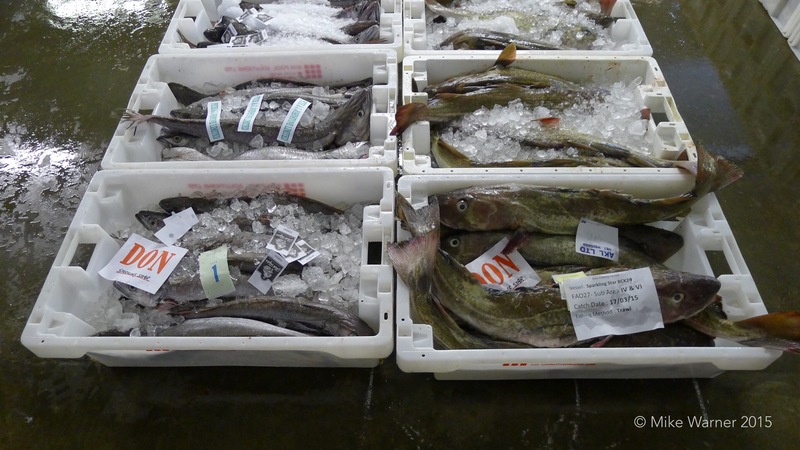 This statistic, in turn, highlights the issue of imports and with such a dramatic shortfall in supply, being met largely from Norwegian and Icelandic vessels, the scope for sourcing finest quality Scottish cod (and haddock with a 40% biomass increase last year) is considerable and skippers from the Buchan ports of Peterhead and Fraserburgh are itching to meet that demand. I can vouch too for the consistency, having studied the daily Peterhead Market summaries for nearly a year now and from that it’s clear that the Scottish boats are capable of landing fish virtually to order and of the specific class sizes that different sectors require. Markets of 5000 + boxes of whitefish are not an uncommon sight at this particular port and it’s no surprise to David Milne, Chairman of the Scottish White Fish Producers Association (SWFPA) and skipper of the Fraserburgh registered pair-trawler Adorne (FR220) who’s keen to elaborate on the amount of catch effort currently required. Therein then lies the problem. Fishing gear can only be so selective. 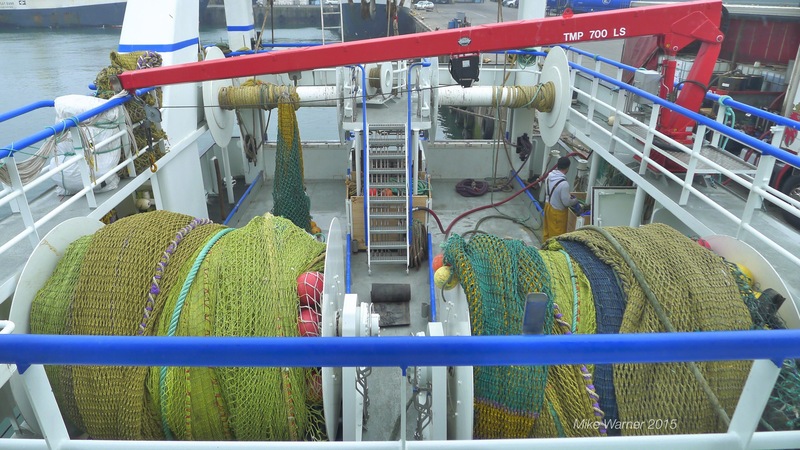 Some vastly more than others, as in the case of the gill nets employed in the South West, for hake and monkfish, but in Scottish waters where trawling and seining are the preferred methods, a mixed fishery will undoubtedly throw up issues when faced with the LO. Of course fishermen are adaptable, but having been made victims of their own success and now just starting to reap the benefits, it appears that the new legislation if not properly managed and adjusted to reflect individual fisheries and habitats, will again potentially work against them. 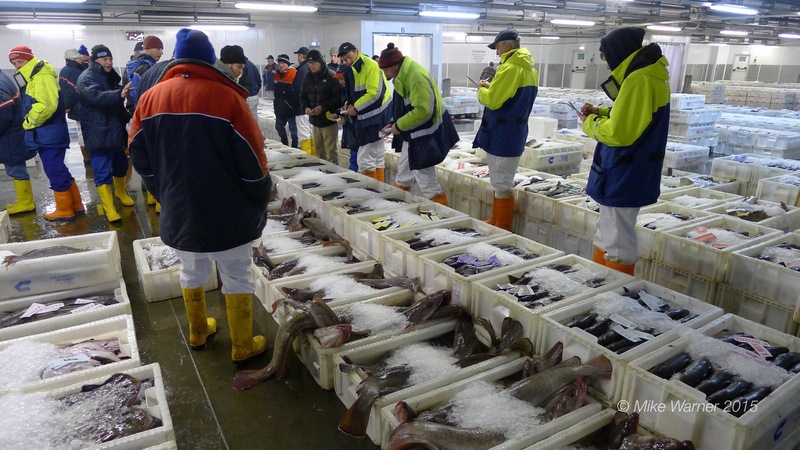 Andrew Charles, MD of Aberdeen Fish merchant J Charles, is justifiably passionate about the diversity of the fishery and how its sustainability relies on consumers embracing all commercially caught species. It’s partially a problem though with the UK’s fish eating demographic. Not generally being as educated as fish buyers compared to some of our EU neighbours, (who enjoy consumption figures of up to 40kgs/head/year), our preferences for seafood tend to lie mainly in standard processed products, using the staple species, whereas on the other side of the channel, the enjoyment of the whole panoply of the catch is a traditional feature of consumer diets. It follows then, that in order to manage these diverse and interrelated fisheries effectively and meet the challenges of legislation head-on, it’s not just the fishers who will have to adapt. 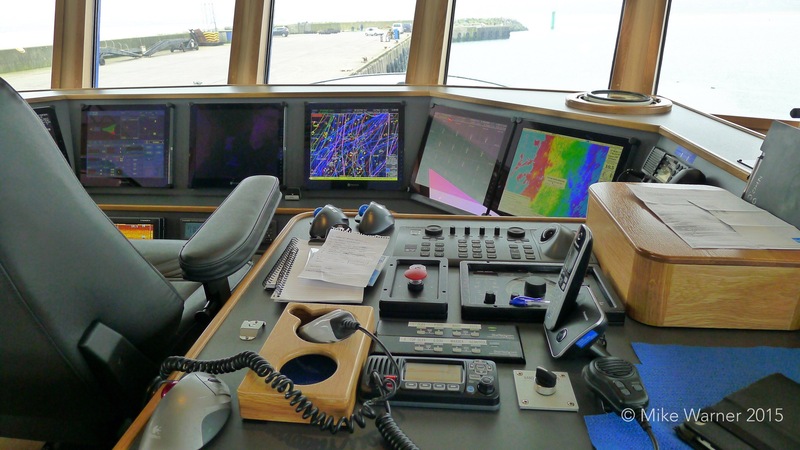 Looking to the future, nurturing stocks and planning for succession are facets of the industry that have now become de rigeur for owners and skippers. However, there comes a point when it’s up to those best placed to influence consumer choice; fishmongers, restauranteurs, chefs and writers to take up the mantle and convince the seafood buying public that there is incredible and accessible variety. A wild, organic and naturally healthy protein source that represents fantastic value and quality. Once armed with the knowledge and advice on how to eat this wealth of produce responsibly, then as a nation we’ll be another step further down the road of true sustainability, which is not just about the catching but also the consuming. Having said that, long may we continue to enjoy Scottish cod and haddock with our chips. I love eating fish and as a recreational sea angler(shore), I can catch the common inshore species fairly easily, but never quite enough to satisfy my appetite. Also being an adventurous eater I like to try different species such as bream, gurnard, hake, halibut and mullet, in addition to my old favourites.